Pete has 25 years of experience in leadership roles with high growth companies, spending the majority of his career with technology solutions designed for the global small business community. Prior to joining JazzHR, Pete was Senior Vice President of Global Sales at Carbonite where he was responsible for all revenue and led the company’s expansion into the SMB market, which grew to exceed 100,000 paid small business customers. Pete was a member of the Carbonite IPO leadership team. Previously, Pete served as SVP & GM for NameMedia’s SMB-focused Domain Marketplace, the largest of its kind in the world, and Chief Operating Officer of Monster Worldwide’s consumer relocation division, helping small businesses convert new movers into lifetime customers. Pete is a graduate of Middlebury College and Harvard Business School. A veteran financial and operational executive, Brit brings more than 20 years experience in achieving strategic business goals and managing the day-to-day operations of high-growth technology companies. Brit is the former CFO of Boston-based CrowdComfort, a SaaS solution provider for facility and workplace management, where he was integral in orchestrating venture capital financing and building the operations of the company's accounting, finance, HR, legal and IT departments. Prior to CrowdComfort, Brit held similar positions at several other startups, including Aras Corporation and VISTAGY. Brit has a BA from Williams College and an MBA from Babson College. He is also a Chartered Financial Analyst. Chuck has more than 20 years of experience in customer success and operations leadership positions with entrepreneurial software companies across influential industries such as Ariba, Landslide Technologies, and SmartOps. Prior to entering into the world of SaaS startups, he served as a Supply/Fiscal Officer in the United States Marine Corps. Chuck is a graduate of Carnegie Mellon University and Tepper School of Business. Allie brings a wealth of industry and marketing expertise to JazzHR as dedicated VP of Marketing. As a full-stack marketer with 12+ years’ experience in b2b and b2c environments, a love for digital, and a passion for international, Allie prides herself on differentiating and accelerating the growth of brands, at home and around the world. With proven experience defining and driving strategies that strengthen revenue and competitive market position worldwide, Allie has a track record for identifying growth opportunities and designing and executing impactful, integrated marketing programs that deliver results. Allie is a graduate of the University of Massachusetts Amherst and leads the Marketing team in Jazz's Waltham, MA office. 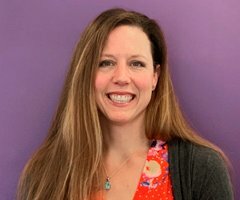 Amanda brings a diverse background with over 15 years of experience, most recently at Monster.com where she led the alliances channel focusing on sustainable revenue growth and diversification along with marketing execution across the alliance partners. Prior to Monster, Amanda has experience that includes a variety of roles ranging from consulting to marketing and creative services. Amanda has her BS in Marketing from Oswego State University and an MBA in Economics from Baruch College. Corey is the Head of HR at JazzHR, where he helps lead the growth of the organization and the development of our culture, amongst all other things HR. During his career he has led the HR efforts of organizations of many different sizes across many different industries. At JazzHR he works with the leadership team to plan the future of the company and shape the direction of our products. Corey provides unique insight into using JazzHR’s award winning recruiting platform as the person who sits in the same chair as many of the customers. His cross-industry and startup experience, combined with his knowledge of the Human Resources world helps him create a new narrative of what the industry needs to effectively build companies. Sean Ammirati joined Birchmere Ventures as a partner in 2012. Prior to that, he spent a dozen years founding, building and selling businesses in the software and media industries. Sean was previously Chief Operating Officer of ReadWriteWeb, one of the most influential sites about the future of technology and innovation. In December 2011, the company was acquired by SAY Media to strengthen its technology channel. Sean was previously co-founder and CEO of mSpoke, which was the first acquisition of LinkedIn. Sean is currently an Adjunct Professor of Entrepreneurship at Carnegie Mellon University and author of the upcoming book The Science of Growth (St. Martins April 2016). He holds a B.S. in computer information systems from Grove City College and was a research fellow at Carnegie Mellon’s Sloan Software Industry Center. Sean Cantwell is a Partner at Volition Capital, focusing on investments in SaaS and technology-enabled services businesses. His board directorships and investments include Visual IQ, a SaaS provider of cross-channel marketing attribution solutions; iPipeline, a SaaS vendor providing straight through processing of applications for the life insurance industry; G5 Search Marketing, a digital experience management SaaS vendor in the property management sector; GlobalTranz, a technology-enabled freight brokerage platform; Ping Identity, a provider of identity and access management solutions; and Jazz, a recruiting SaaS vendor for the SMB market. Prior to helping found Volition Capital in 2010, Sean was an investor at Fidelity Ventures where he led investments with a focus on software businesses. Earlier in his career, Sean worked at Summit Partners, where he focused on growth equity investments in the software, healthcare and financial services sectors. Sean began his career at Arthur Andersen and also spent time at The Parthenon Group where he worked on a variety of strategy consulting engagements for private equity firms and large corporate clients. Sean received an MBA from Harvard Business School and a Bachelor of Business Administration degree from the University of Notre Dame. Don founded JazzHR (formerly The Resumator) in 2009, and established the company as a leader in SMB-focused, SaaS recruiting solutions. A graphic designer turned software engineer, entrepreneur, startup evangelist, writer and speaker - Don is an influential leader and widely regarded as a subject matter expert in the recruiting software industry. A graduate of Rochester Institute of Technology, Don has been profiled in The New York Times, was a Regional Finalist for the 2012 Ernst & Young Entrepreneur of the Year Competition and Business Insider named him as one of the 25 Most Influential African-Americans in Technology. John is a tenured member of the University of California at Santa Barbara’s Technology Management Faculty where he teaches courses on New Venture Creation and Entrepreneurial Sales. In 2012, he was granted the University's prestigious "Venky" award as recognition of his multi-decade impact on Santa Barbara's entrepreneurial community. John earned his MBA from Wharton, and his undergraduate degree at The University of Maryland. Pete has 25 years of experience in leadership roles with high growth companies, spending the majority of his career with technology solutions designed for the global small business community. Prior to joining Jazz, Pete was Senior Vice President of Global Sales at Carbonite where he was responsible for all revenue and led the company’s expansion into the SMB market, which grew to exceed 100,000 paid small business customers. Pete was a member of the Carbonite IPO leadership team. Steve Pogorzelski, the CEO of Avention has over 25 years of management experience in various global leadership roles. Most recently he was the Chief Revenue Officer at Vocus (NASDAQ: VOCS) which was purchased by the private equity firm GTCR in June 2014. Before that, he was the CEO of ClickFuel, a SaaS-based marketing analytics platform provider that was sold to a private equity firm. He is also the former President of Monster.com and Group President of Monster Worldwide. Steve is also the co-author of "Finding Keepers" which was published in hardcover by McGraw-Hill in January 2008. He has been a frequent commentator on global labor markets and has appeared on CNN, Bloomberg TV, CNBC, ABC Nightly News, PBS News Hour, Fox News and numerous local television outlets. He has been quoted in dozens of newspapers including the Wall Street Journal, New York Times and the Boston Globe. He has also offered commentary on NPR radio, Wall Street Journal Radio and AP Radio amongst others. He is a former board member and Chairman at Morgan Memorial Goodwill Industries and a member of the University of Wisconsin Letters & Science Board of Visitors. He currently serves as a board member or board advisor at six companies all of which is he has also participated in as an angel investor. A native of Milwaukee, he is a 1983 graduate of the University of Wisconsin with a BA in Journalism/Advertising.